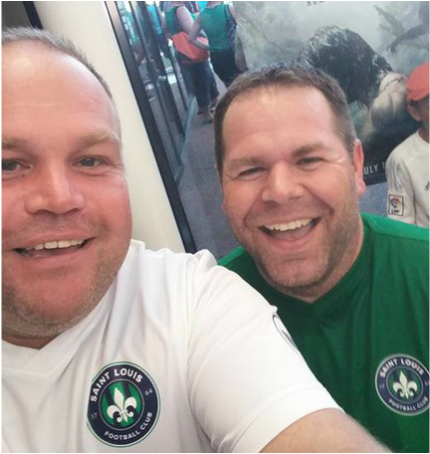 ,﻿While we are ardent Manchester United supporters, we are also huge supporters of our local club, St. Louis FC. The fan experience is top of the line and you will get outstanding customer service from two of the St. Louis Red Army's own Patrick Kelly and Darien Baez. 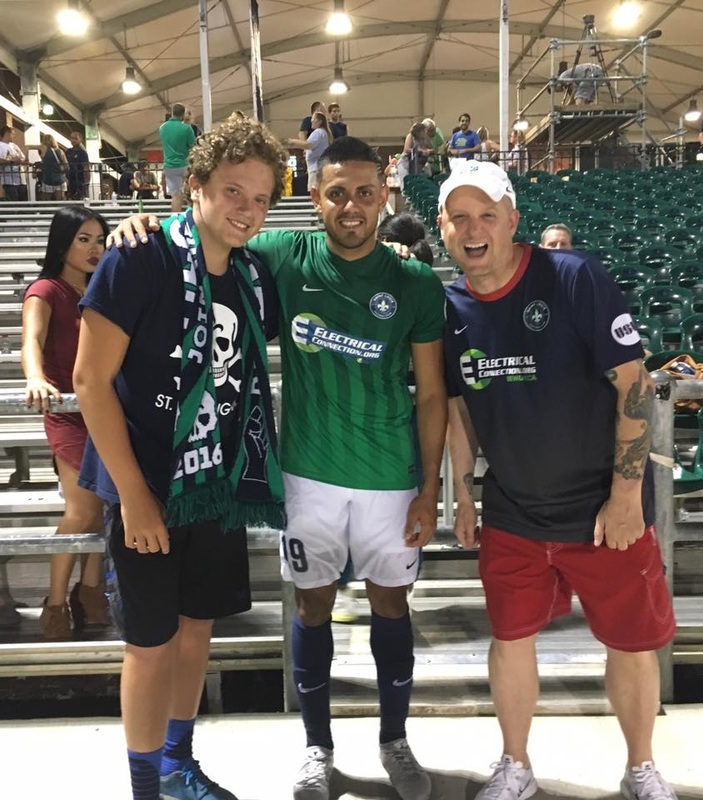 St. Louis Red Army member, Claude Karraker with STLFC leading scorer Erwin Herrera. Patrick Kelly gets it done at STL FC and for the St Louis Red Army! 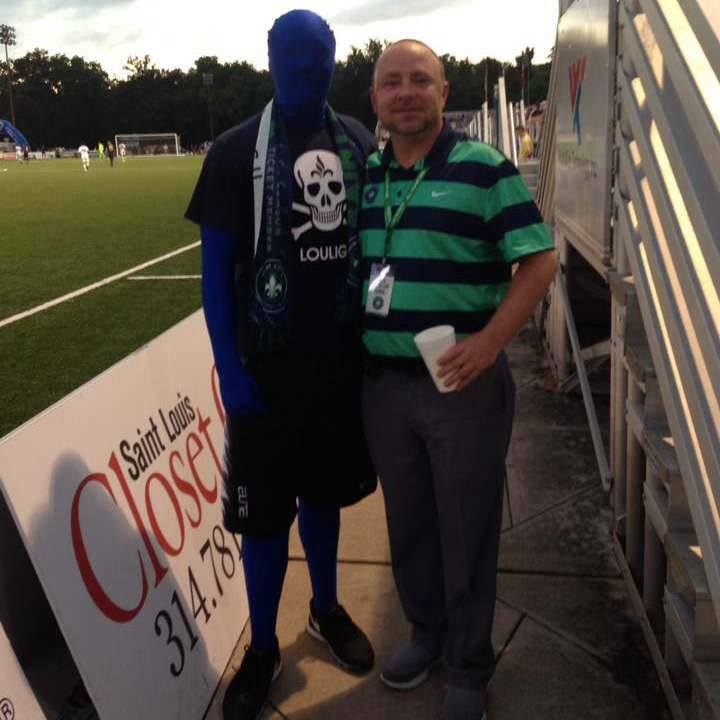 Saint Louis FC plays its home games at World Wide Technology Soccer Park in Fenton, MO. The Park is 15 minutes outside of downtown St. Louis. The World Wide Technology Soccer Park includes six full-size fields (four turf, two grass), office space for club staff, indoor event space, food and beverage options, and a fan shop. It also features the indoor Performance Training Center at the north end of the facility. The facility has undergone significant renovations recently, including new field lighting, bleacher upgrades, locker room renovations, and the new Budweiser Biergarten. 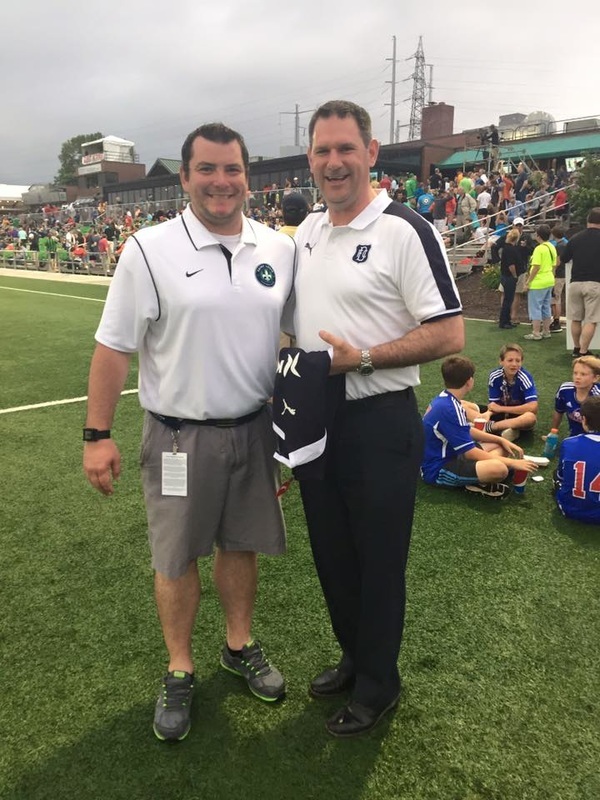 World Wide Technology Soccer Park will host all home games for Saint Louis FC, as well as training and games for youth club St. Louis Scott Gallagher.